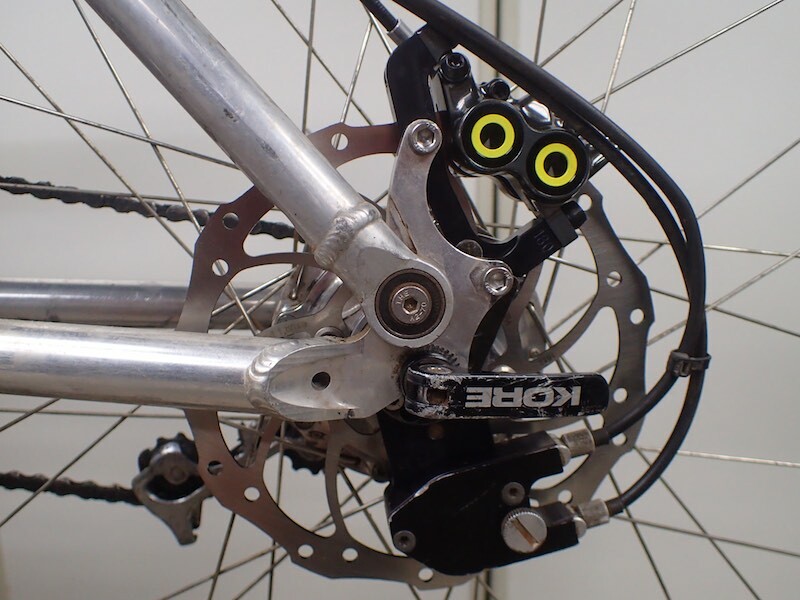 New Magura MT7 Rear Brakes with 180mm Storm Rotor & Rohloff Monkeybone. 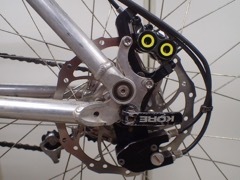 The Magura Gustav Brakes that were on the bike weighed 424gm while the new Magura MT7 brakes weighed 276 gm plus bolts 12 gm and monkey bone but the Speedbone which was quite heavy was removed. The old disc weighed 186gm and the new one looked considerably lighter although I didn't weigh it. The existing hose was 195 cm long while the new one came at 215 cm. It probably needs shortening about 10 or so cm. One particular concern was the bolts holding the plate onto the Rohloff Hub. All were quite loose and of the 5 two were bent and 2 were sheared off at about 20mm. The correct length is about 25mm. 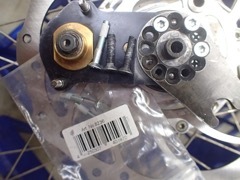 This meant these 2 did not tighten at all.